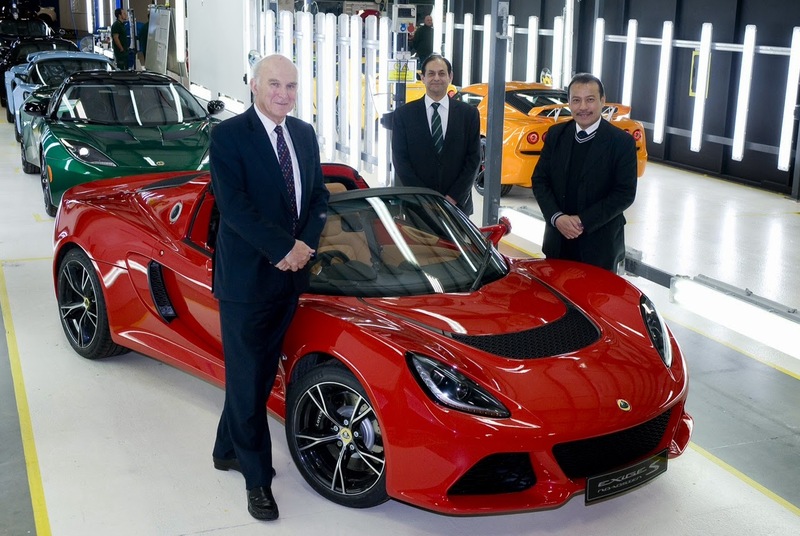 Following the recent investment of £100million in Lotus Cars by its owners, the UK Government has now awarded the Norfolk company a £10million grant. Vince Cable made the announcement today following a tour of the factory. The cash comes from something called the Regional Growth Fund, which invests in businesses outside of London. “Lotus is an iconic British car maker, with some of the most innovative engineers in the business. The car industry is one of Britain's great success stories, employing over 130,000 people and helping to build a stronger economy by contributing £11 billion a year…. I am pleased to announce today that our flagship economic plan to create jobs outside of London - the regional growth fund - is awarding Lotus a £10 million grant which will help them develop their next generation of cars and create over 300 new jobs in East Anglia." For once the UK Government is spending some of the tax that we car drivers pay on things we'd like to see, instead of on silly new railways. “This grant is part of a wider strategy for Lotus created to ensure we thrive and grow. We are responding to increased global demand for our cars and engineering consultancy services and this grant will help to position Lotus at the forefront of global automotive innovation. We have very exciting plans for our sports cars and it’s a very positive move for Lotus that we’re in a position to create new jobs and to significantly contribute to Britain’s automotive industry." Exciting plans? Interesting. Could this be the new Esprit that seems to be the only surviving new model from the Bahar years?